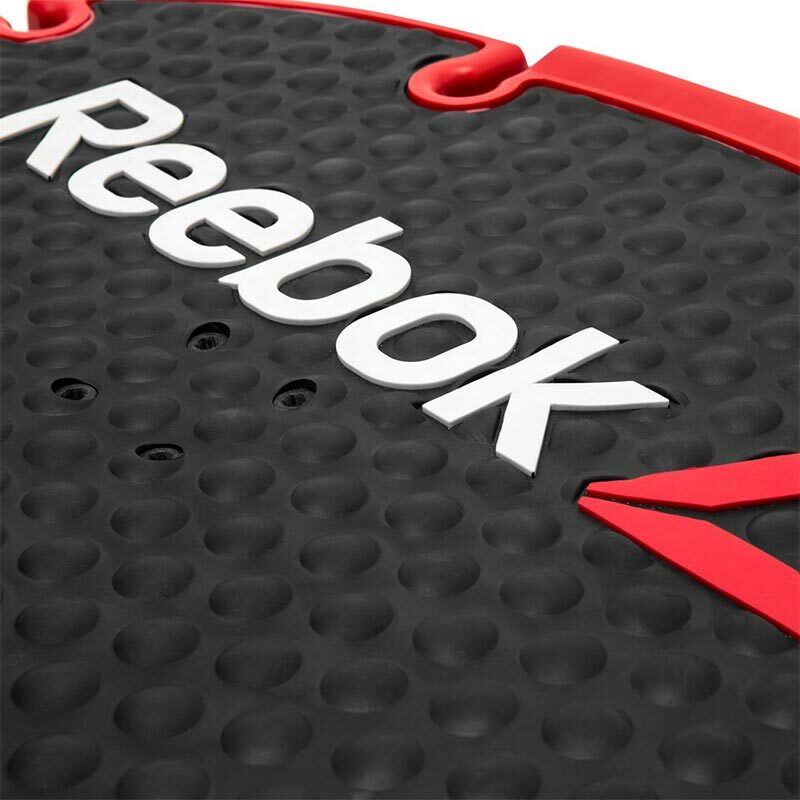 The New Reebok Core Board offers a complete training system. It is designed to improve tone and function of the core muscles through its ability to tilt, twist and recoil against the body's movements. This makes it the perfect balance accessory for beginners and advanced users alike. 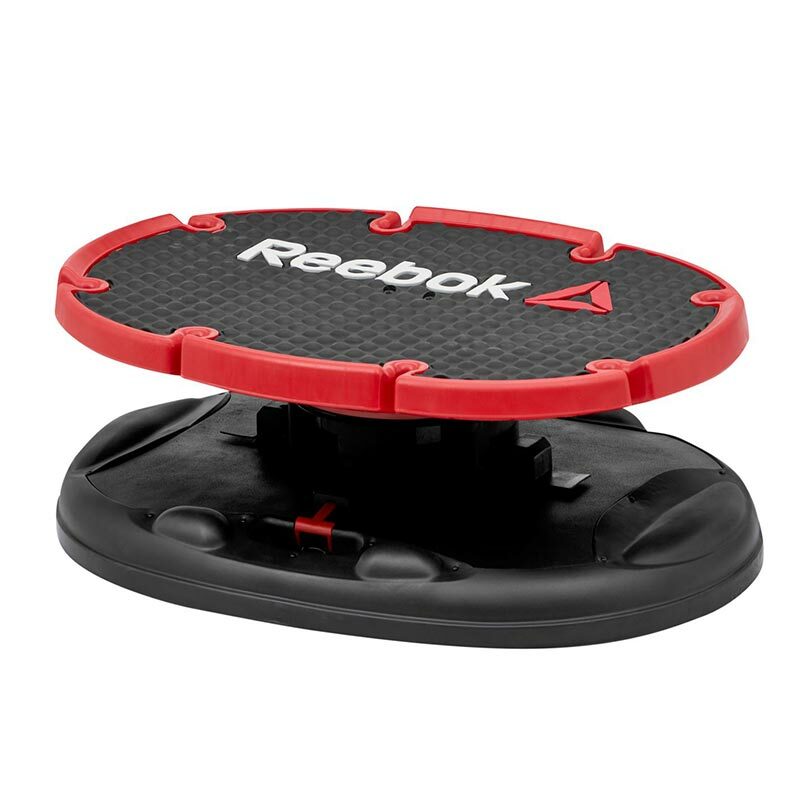 The non slip surface provides a great platform for aerobic training incorporating balance to strengthen ankles, knees and hips. 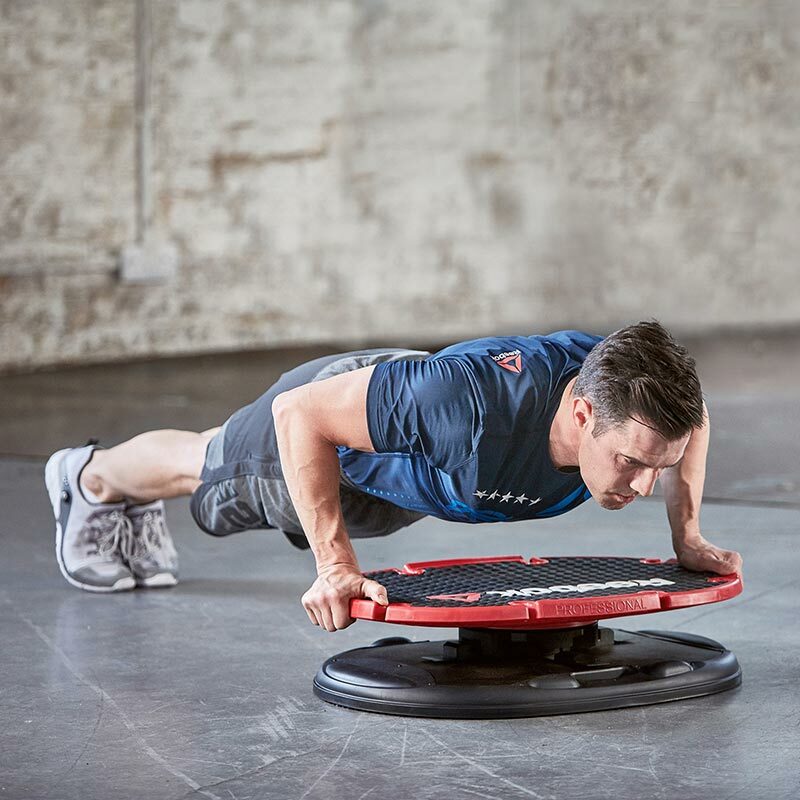 With 2 adjustable levels of stability offering a unique training tool for group instructors, 8 individual positions for RBK Core/Stabiliser tubes (to be ordered separately). Size: 723 x 526 x 170mm.